your specific carpet cleaning job. 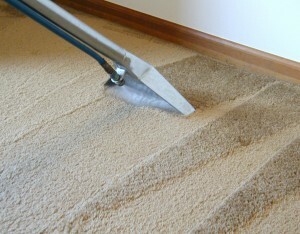 Choosing a great carpet cleaner is not an easy task. You should pick a company that best suits your needs and no one else should be allowed into your home. Here are a few reasons why you should hire Blue Springs Carpet Cleaner as your preferred carpet cleaner. First of all there are a number of cleaning choices available to you so you should know what they are. We offer hot water extraction, upholstery cleaning, rotovac, dry foam shampoo and tile and grout cleaning. Dry extraction cleaning makes use of a compound that has a detergent which is used to free dirt and remove stains from the carets. Once this is done it is all vacuumed. Once you know what options you have at the table look at the type of chemicals used in the cleaning process. Depending on the type and size of the carpet, you will look at the time it will take to clean it and whether furniture will require to be moved. The chemicals we use are completely safe for you and your pets and it won’t harm the carpets. This way you can use them for much longer and they will still be quite clean. One important factor to check is who will be coming to your home. You should know the history of the carpet cleaner and if there are background checks performed by the company. All our staff are completely trustworthy and we do thorough background checks on all of them to ensure our customers are safe at all times. Having a professional clean your carpets is the best thing you can do as it takes away any doubt that the job won’t get done well. If a professional job is what you are looking for then Blue Springs Carpet Cleaner is the company for you. Call us today and book your appointment. Over $150 is 15% Off! Under $150 is 5% Off! Home Owners: Protect your carpet and upholstery investment by scheduling regular carpet cleaning as often as once a month. Ask about our affordable monthly discount rate. Commercial Businesses: Carlo's Carpet Cleaning can help keep a clean environment for your employees and customers. We also now clean tile and grout, plus polish and wax your Hardwood floors. Click here for Tile and Gout Cleaning! What kind of carpet do you have? We can clean it! "Carpet Cleaning for Lee's Summit - Low Pricing with Professional Results!" © Carlo's Carpet Cleaning, LLC. Copyright 2013-2014. All rights reserved.